JOYOUS SHOUT! is a music production company providing Personal Management services to legendary jazz drummer and bandleader Foreststorn 'Chico' Hamilton since 1988. 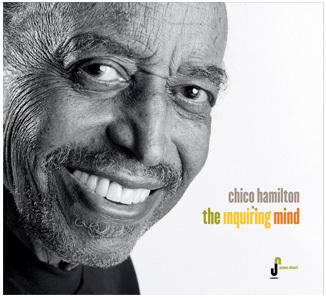 Breaking News: Chico Hamilton HITS with "The Inquiring Mind"!! Purchase the "The Inquiring Mind" CD here! Check out the Chico Hamilton page @ Facebook.com!! Visit our online store to purchase YOUR autographed copies of Chico's Joyous Shout! 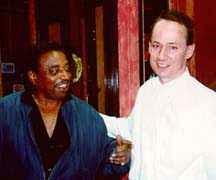 releases and other signed Chico Hamilton albums and memorabilia!! Chico Hamilton and Jeffrey Andrew Caddick.